St James' - where the city meets the country, sea meets the sand and students meet passionate teachers, everyday! 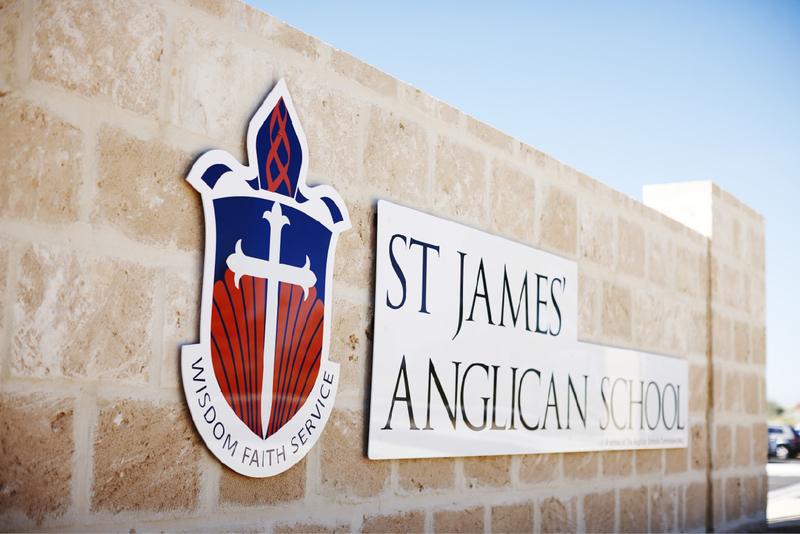 St James’ Anglican School is a school of the Anglican Schools Commission (Inc.) (ASC) situated on 10 hectares of land on the corner of Marmion Avenue and Graceful Boulevard in the new northern beaches suburb of Alkimos, 40 kilometres from the Perth CBD. Alkimos is named after the shipwreck of the Greek freighter Alkimos, which ran aground in 1963 on the coast west of the current location of the School of St James’. The wreck lies a few hundred metres off shore and has slowly been rusting away to the point where only a small section of the hull remains. St James’ Anglican School is a co-educational, independent day school. Currently the School caters for Kindergarten to Year 10 classes. By 2021 the School will offer all year levels from Kindergarten to Year 12. At full enrolment, the School will cater for approximately 1100 students.